Welcome to our first news item of 2018, what better way to start the year by sharing our most comfortable seat of the moment! 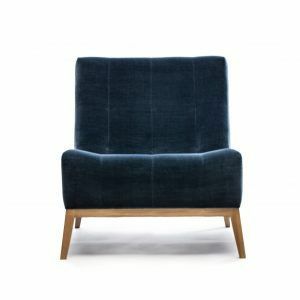 We have always been obsessed with comfort foremost, and whilst styling is equally important, you’ll never stay long on an uncomfortable chair. That is why since 1969 when we started restoring Antique upholstery we always ensured the hair build up left the seat, arm, lumber and back rake in the right combination to make comfort paramount. Did you know the optimum height for an arm to a seat sat in is 20cm, perfectly positioned you naturally have your elbow supported. 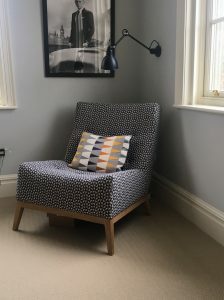 Now, not all our chairs have arms and whilst we try to offer new designs across our collection, we occasionally stray away from a chair with an arm! Our Theo started life as a banquette we purchased from an iconic pop star of the 60’s when at the time we very often purchased entire house contents prior to making their new furniture! From there, we re-modelled the back, increased the rake, lifted the front base rail and created the chair you see today. 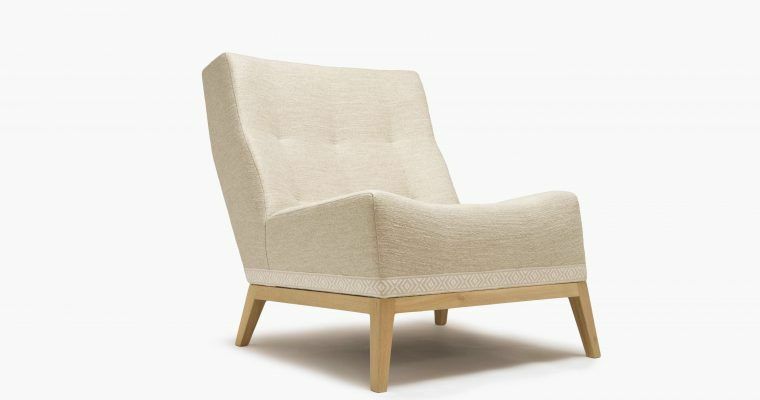 Our Theo has strong lines and at 82cm wide with no arms creates a wide seat, perfect to snuggle up on for that bedtime story with the little ones. Each Christmas, it is great to see my son and his cousin always make a beeline for the chair at Christmas to share that latest game. Although perfect to share our Theo looks equally at home in formal and informal lounges and recently we have done a pair for a TV Room. 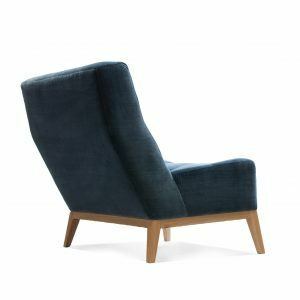 Available on a fixed base with splayed tapered legs in any of our 36 finishes, the Theo can be upholstered in both leather and fabric. It’s dimensions are perfect at W82cm x D90cm x H90cm, but remember we offer a full bespoke service so we can make our Theo to any size to suit your space requirements. Recent commissions have included making a couple of Theo’s for children’s bedrooms (shown on the right), scaling them down so they are perfect for the little tykes, a sofa version and producing a matching footstool. If you’d like any further information on our Theo Chair or any other piece then please get in touch, we would be delighted to hear from you.